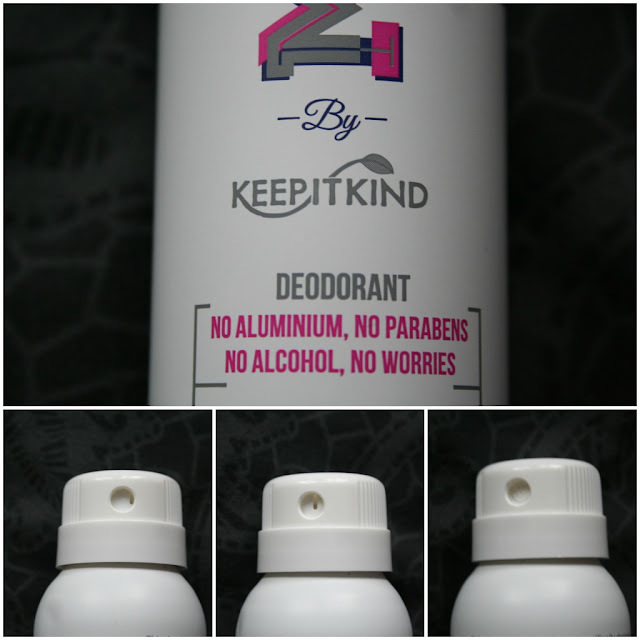 The past few weeks I have spent trialling out this deodorant, kindly sent to me from a lovely lady at PurePR. Designed for young skin, it stresses the need to make sure your skin, especially the delicate under arm area, is always soft and not damaged by endless body sprays, wear and tear. When I first put this on, like all deodorants it is nice and cool and for a few seconds you can smell a fresh scent. It quickly dissolves into the skin / surrounding air so afterwards you can put on perfume without wanting the scents to clash. I don't really know if that's relevant or not, but I've always been someone who is conscious of smelling too strong or smelling of a clash of deodorant, hairspray, various beauty products and a perfume. That would be a bit of an aromatic mess. What really stands out to me is the packaging, being designed for young girls my age (15) and younger it is quite girly and suits the adolescent target market. I've included three photos of the bottle top as instead of having an orthodox cap, it has a lock which I find to be really practical and far more helpful than worrying about losing an oversized lid. like any locks it just ensures no product is wasted / accidentally applied. Once again, nobody likes overpowering smells, especially when not wanted. Most importantly, I'd say the deodorant is efficient at keeping sweat at bay. I'm quite lucky in how I naturally don't sweat much, but when using this, especially when doing PE at school I know afterwards I won't feel uncomfortable afterwards. One thing I would say about this is the price being on the slightly expensive side for a 150ml bottle. When comparing it to other deodorants available at Boots online I found other brands selling bottles containing 100ml more for the same price, or the same sized bottle for over a pound cheaper. It would suit travelling long-haul, as it is small enough to easily fit in a bag however not small enough to fit strict 100ml airline on-board guidelines. Personally, I don't think I'd pay £3.29 when only getting 150ml as I'm a bargain hunter who honestly focuses more on saving money than looking at the ingredients in deodorants. Saying this, if you were a younger teen or parent who was really conscious about this sort of thing for your daughter I would recommend it. Have you tried this product? If so, what are your thoughts on it?